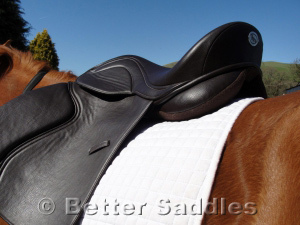 Better Saddles Ltd based in The New Forest, Hampshire / Wiltshire borders, provides a personal saddle fitting service to clients, and via our online shop offer top quality saddle related products. You were a huge help to me when I was making a big decision – long distance – re the saddle and your specialised knowledge and advice was absolutely essential for me to make the investment – which proved to be so successful and worked so well for me and Merlin. Thank you so much for quick despatch and delivery really good product too I will definitely use you again. I just wanted to say a big thank you for such speedy delivery and process of my order. I am really happy with my goods. I was informed that my order had been confirmed and when it had been shipped which is customer care that I have not received from all online horsey websites. The goods are of great quality and I will definitely be purchasing from you again. Thanks again. It was lovely to meet you, and I actually enjoyed what was a very informative session. I don’t think I’ve ever enjoyed a saddle fitting before – – in my experience they are usually exercises in progressive frustration! So thanks for that. After many enquiries to other non responsive suppliers in UK I found Bettersaddles, and a Better Service! Prompt response to email enquiry followed by a helpful telephone conversation and items arrived within 48 hrs which meant I could have that long awaited ride on my youngster. Thank you Mariaana I would recommend you for your 5* service. I am so pleased that I made the decision to contact Mariaana at Better Saddles to help me purchase my first treeless saddle. She was very helpful and always quick to reply to my emails. From placing the order to putting the saddle on my pony was less than 2 weeks and I am so pleased with it. I have a feeling that this won’t be he last order I place with Better Saddles! Thanks again. I went for a 3 hour hack in the saddle on Sunday and it’s fab. My pony is definitely really happy in it and it is really comfy for longer rides. Confused about which saddle will suit your horse? Use our interactive app to select the best match. We are very pleased to announce that Better Saddles is now the official UK importer of Torsion treeless saddle and Equitex range of saddle pads. To view the full range of Torsion saddles, please go to the shop. To arrange a saddle trial, click here! 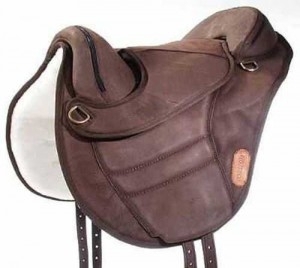 The latest saddle from world renowned riding teacher and saddle designer, Heather Moffett. One of the most affordable multi-fit saddles on the market which uniquely benefits from a flexible leather tree and wool serge panel. These lightweight flexible stirrups are ideal for endurance riders. The wider tread spreads the pressure and relieves pain in feet, ankles and knees. Increased safety – caged stirrups prevent the foot from slipping through in case of a fall. 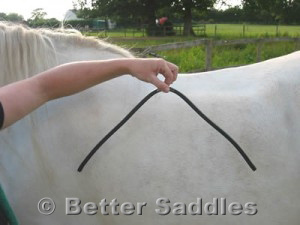 Learn how to accurately take a wither template that you can send to Better Saddles as part of the process of getting a custom made saddle. 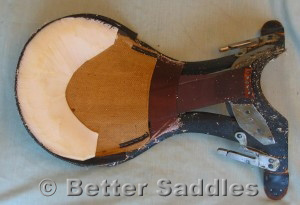 A step by step strip-down of a typical treed saddle. Here we talk about each stage along with detailed pictures. See how the components fit together and can affect the horse and rider. 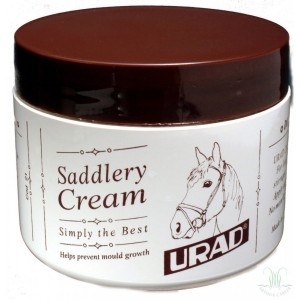 Urad Saddle cream. A self shining cream that feeds the leather and protects against mould growth. Ideal for any kind of leather tack, no need for saddle soap. Simply apply sparingly using the sponge provided for clean, shiny tack, no need to buff. Buy it HERE! 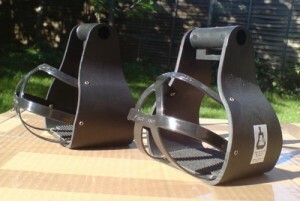 Largest range of treeless saddles in the UK with latest models always available. Years of experience in saddle fitting and saddle issues with all horse types. Help and advice on saddle problems, before and after purchase. Secure online shop for easy ordering with sensible postage rates and quick despatch. No bias to treeless or treed saddles. We advise on the best for you and your horse.